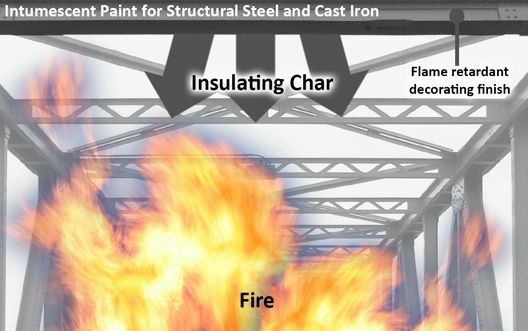 A water-based intumescent paint system providing fire resistance to structural steel and cast iron that may be applied by brush, roller or airless spray. A compatible decorative overcoat system ensures the system will enhance the building’s architectural and design features. ISS intumescent Steel Coating is a low-odour, water-based coating, making it user and environmentally friendly. The range of topcoats are either water-based or 2010 compliant and safe to use in accordance with manufacturer’s instructions. Water based Intumescent for structural steel. For 30 mins protection: 1 thick coat – 2.5kg 4 linear m, 5kg 8 linear m, 20kg 32 linear m – if in any doubt please contact us. For 60 minutes or external steel protection: contact us for further advice specific to your project. 2.5kg, 5kg and 20kg packs.